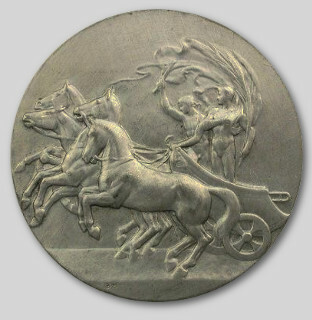 A Greek four-horsed chariot. 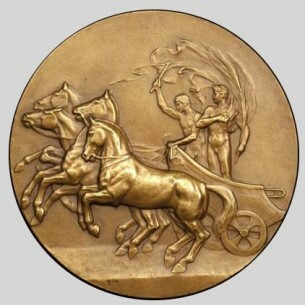 Two men side by side: the driver and the judge, who is ready to reward the winning athlete the victory palm. 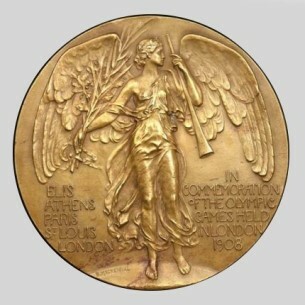 Winged figure of Fame standing on globe between legend. 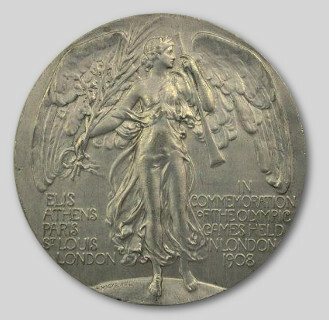 The medal was struck in silver-gilt, silver, bronze and metal. 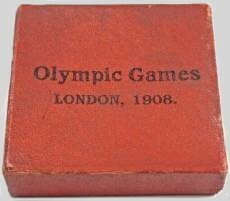 The silver gilt, silver and bronze medals were offered to the officials and those who did not compete. 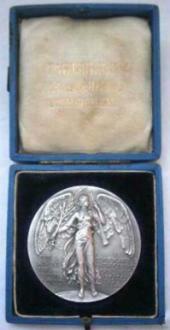 A commemorative medal in metal was given to each participant with his competitors badge.